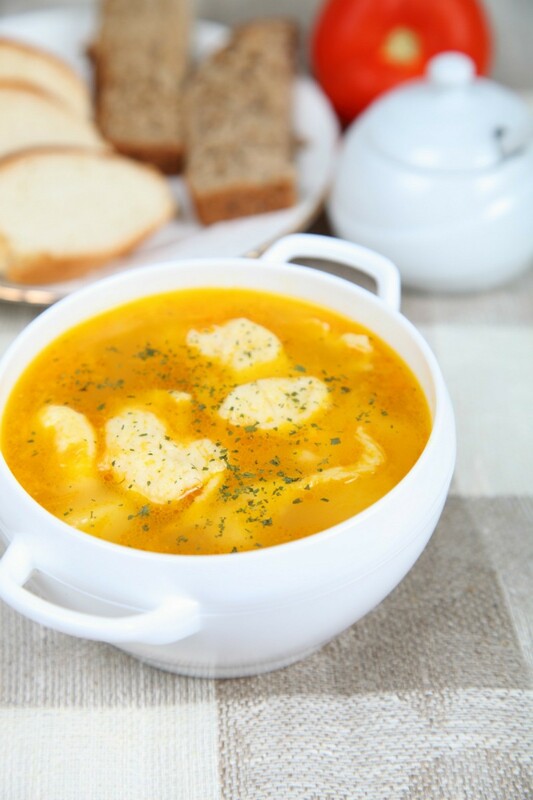 Use Bisquick to drop some tasty little dumplings into your next stew or soup. Bisquick dumplings are easy to make and add substance to any soup. A user asking: I need a recipe on making dumplings with Bisquick. Here are the answers that were sent it. Stir Bisquick mix and milk til soft dough forms. Drop by spoonfuls onto boiling stew or soup. Reduce heat and cook uncovered 10 minutes. Mix ingredients with fork. Spoon dough onto boiling stew. Cook, uncovered, over low heat 10 minutes; cover and cook 10 minutes longer. Makes 10 to 12 dumplings. Mix together first four ingredients, heat in large saucepan or skillet with a lid. Gently mix together the mix and the milk (We double this part, and use a light hand, as over mixing will make the dumplings tough) and top chicken mixture with dumplings dropped from tablespoon. I have also baked this version, but topped the dumplings with melted butter brushed on. Bake at 375 degrees for 10 to 15 minutes. Watch them so the dumplings don't burn. Another added treat is to add 1/2 grated cheese to the biscuits! How do you make Bisquick dumplings? I googled recipes for Bisquick dumplings and this is the first one that I came to. I need a Bisquick chicken dumpling recipe. Thanks. Here's the dumpling page at the Bisquick recipe site. There are several there. All the Bisquick recipes are on http://www.BettyCrocker.com so you can find whatever you need.